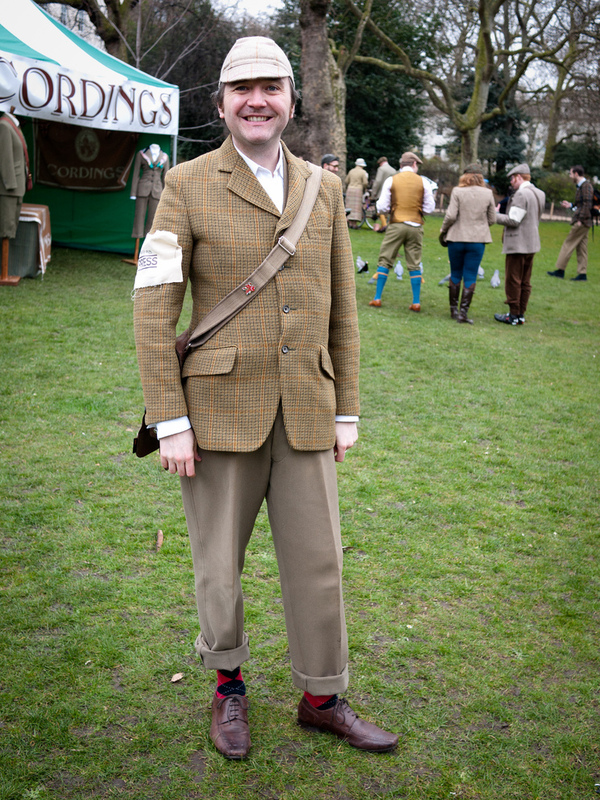 I was determined to be more prepared for the Tweed Run than ever this year. 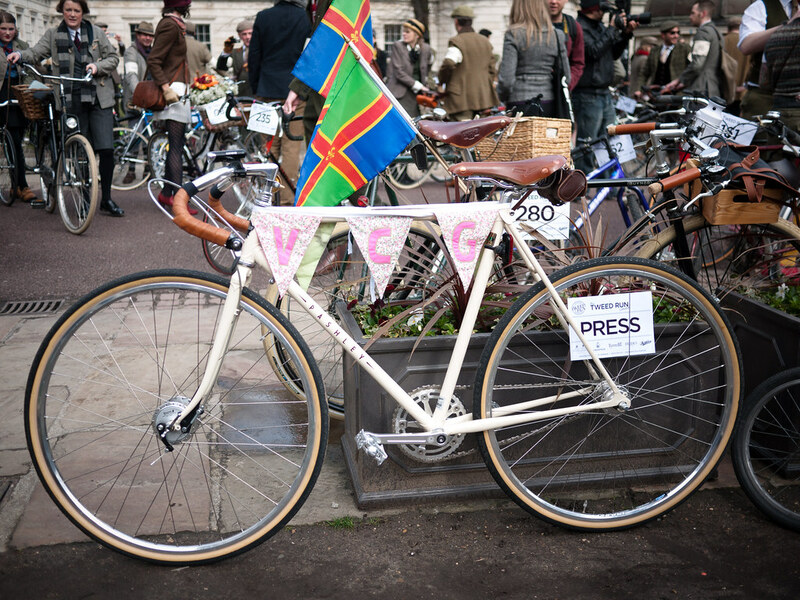 But it was always going to be a bit different as sadly Lady Velo was going to be out of town ogling lots of lovely hand-made British bicycles at Bespoked Bristol. 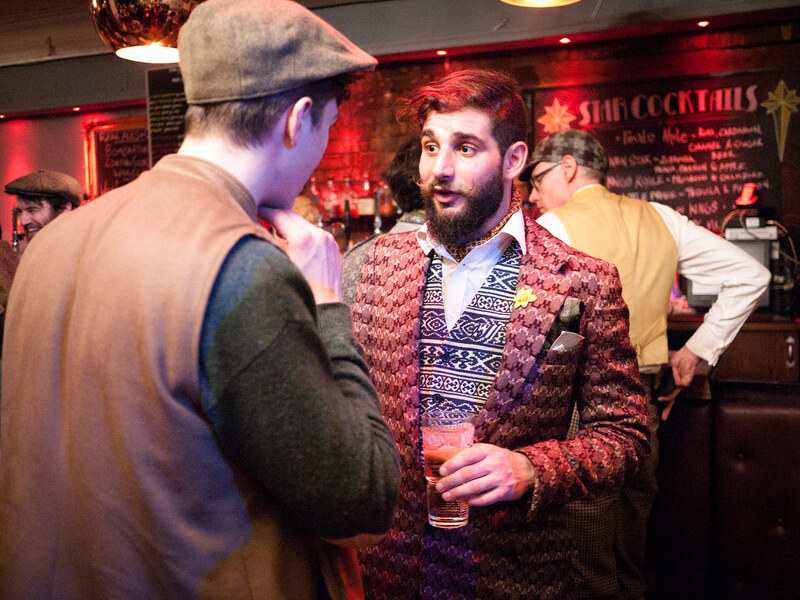 So, that left me, The Boy on a bit of a solo mission. 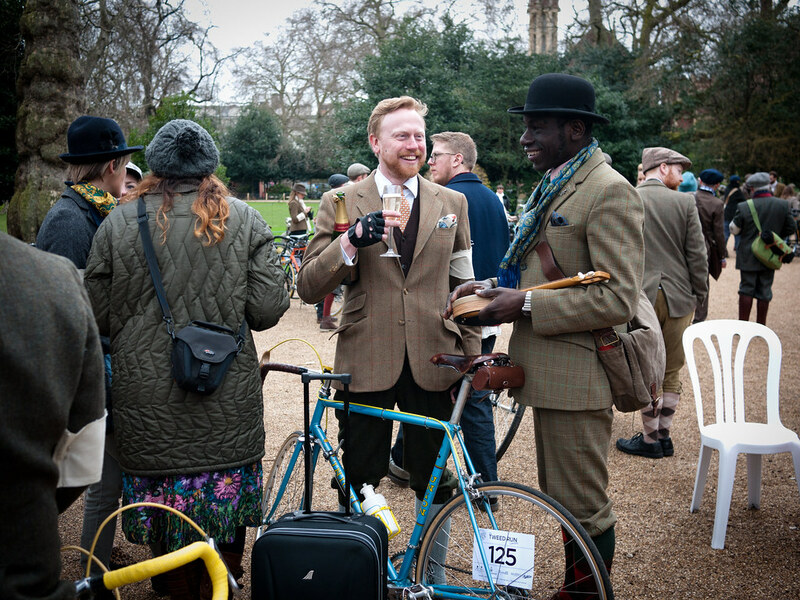 But you’re never alone on the Tweed Run: it’s a very friendly occasion. Each year it seems that more and more friendships are formed and there is usually a chance to hook up with those you met previously. 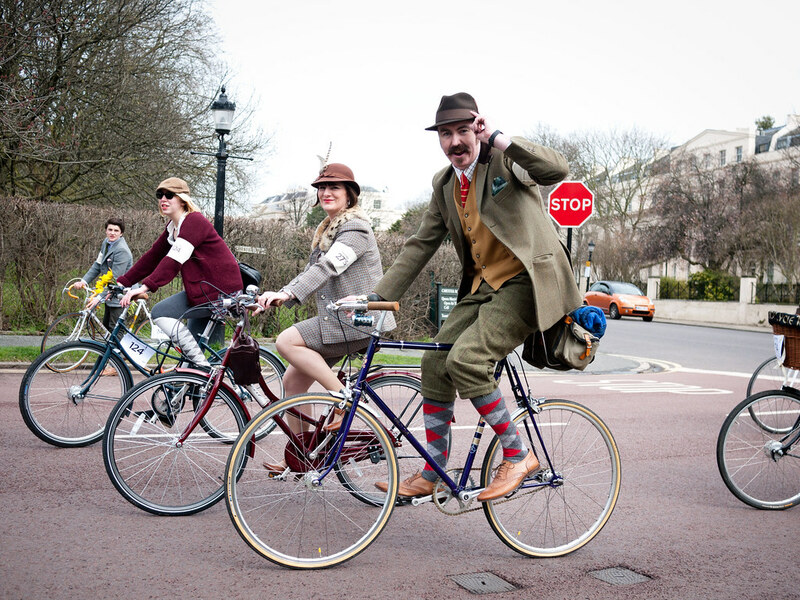 I had got myself a three-piece Tweed suit from a costume hire company in Haslemere and something in my head was nagging me to swap to the Pashley Clubman Urban. 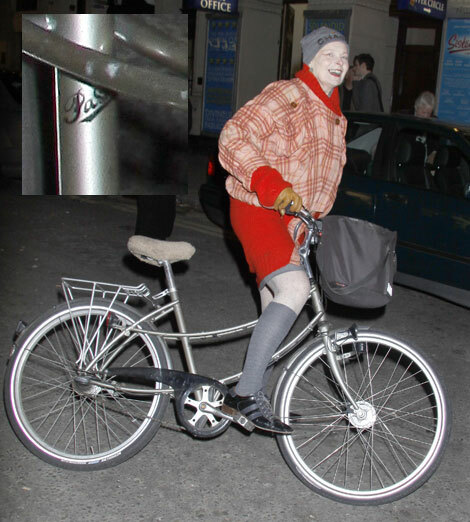 It seemed much more in keeping with my attire and also it would be something a bit different as you don’t tend to see as many of them on the road. 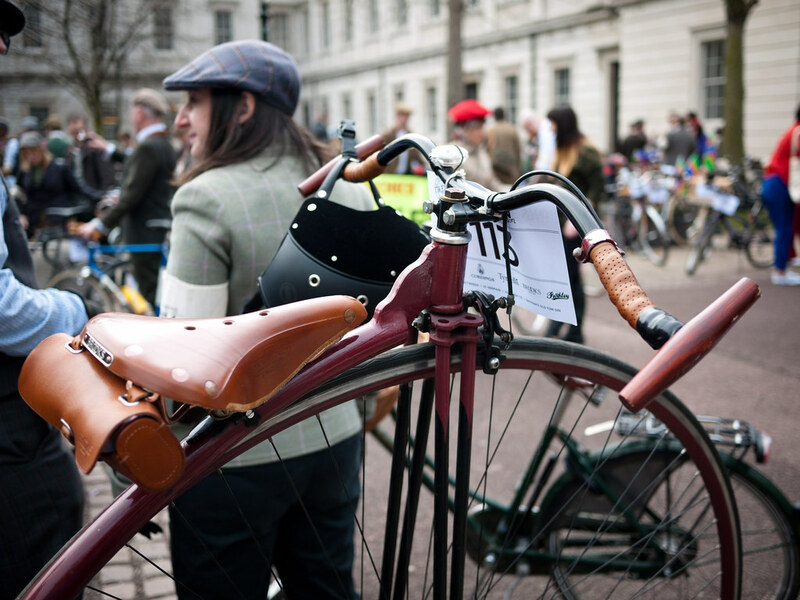 It’s certainly a steed that doesn’t fail to draw admiring glances. 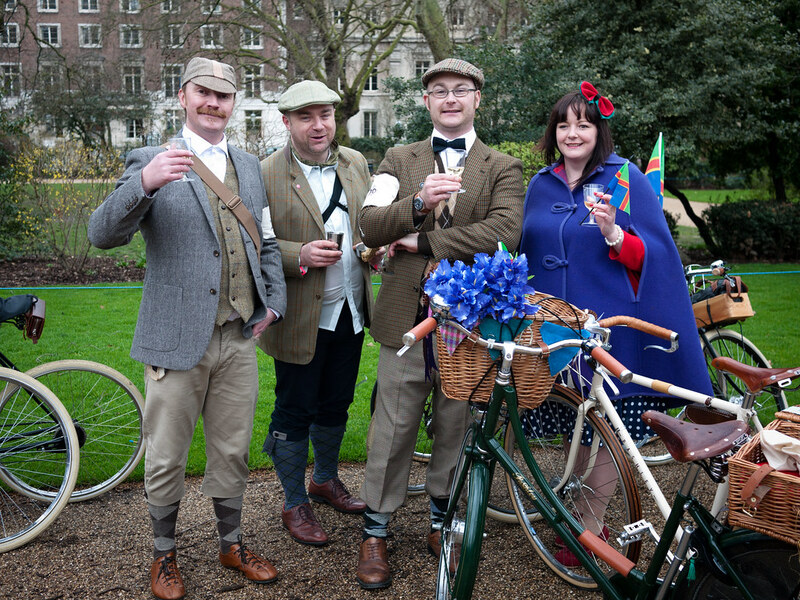 Every year the route is different, with this year’s starting in the quadrangle courtyard of University College London. 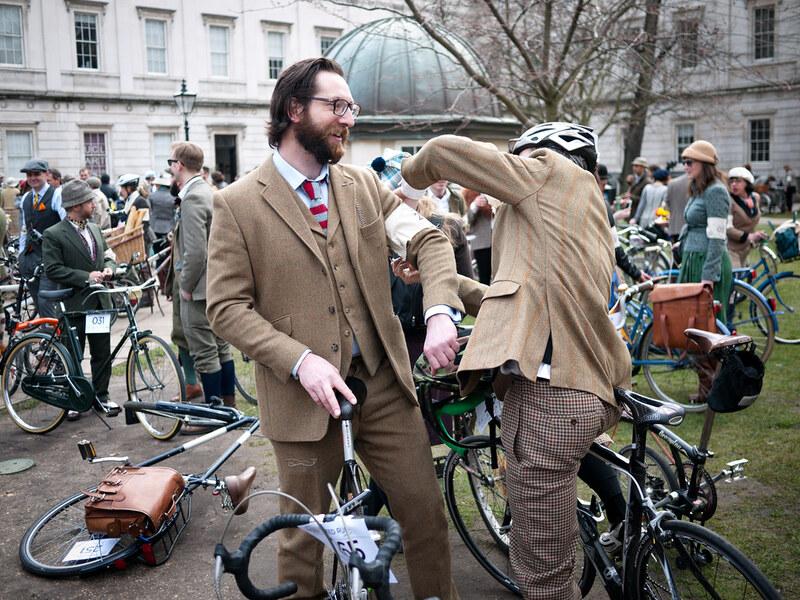 A chance to fix ties, cravats, attach bunting and greet fellow Tweed Runners old and new happens at the meeting point. 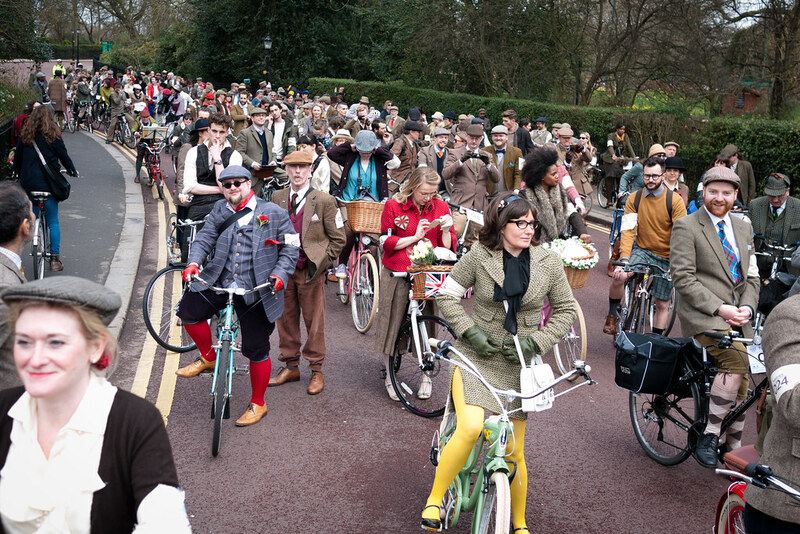 Then we were off, weaving our way up to Regent’s Park. 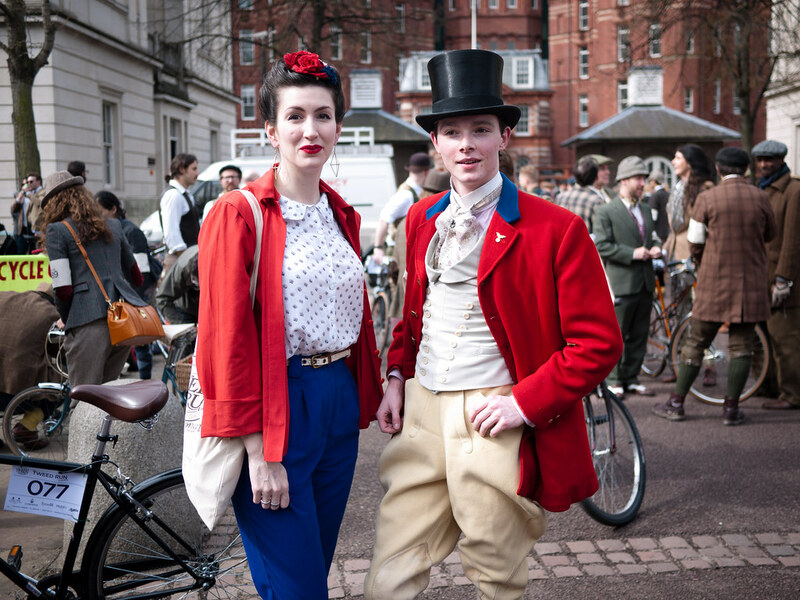 It’s always great looking at the array of bicycles and outfits; the Penny Farthing cyclists always inspire awe and wander and there was more than a few well co-ordinated Tandem duos weaving though the bunch. 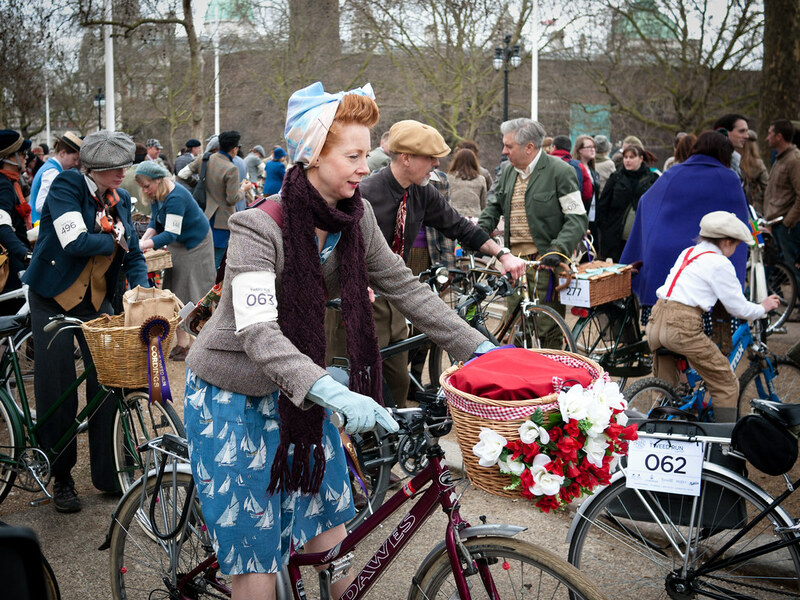 Now four hundred Tweed clad cyclists tally-hoing their way through central London makes for some spectacle and it’s always fabulous to see the look of surprise on the faces of Londoners and tourists alike as we wend our way past attractions like Buckingham Palace and Trafalgar Square! 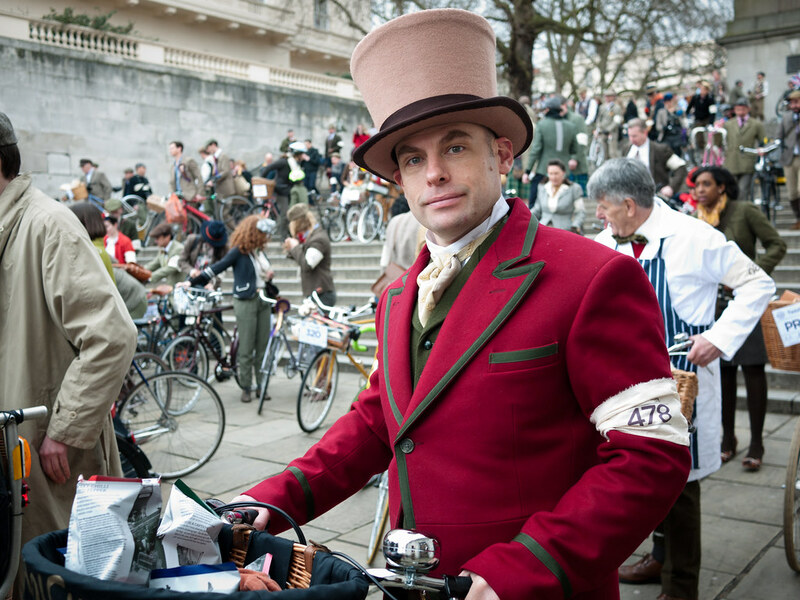 Even the frosty demeanour of the capital’s taxi and van drivers is thawed as we breeze by honking our horns and dinging our bells. 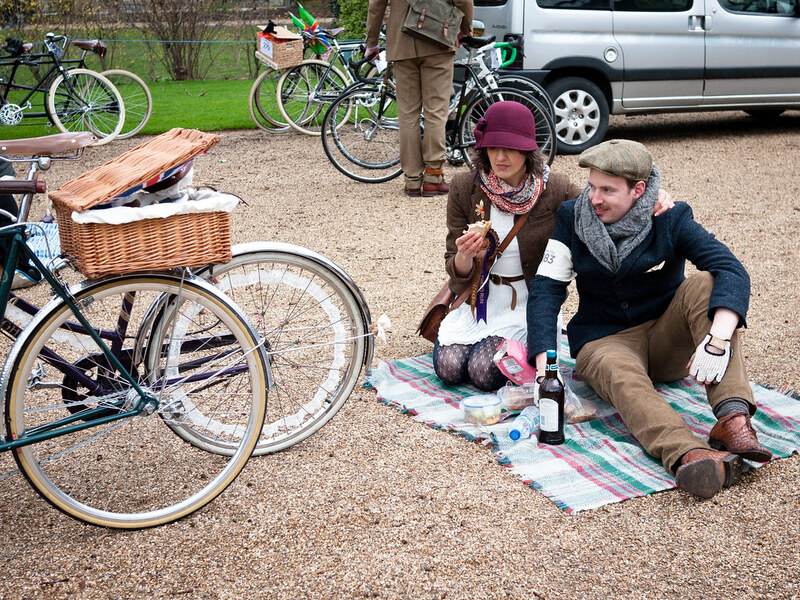 We stopped for lunch at Lincoln Inn Fields, sipping tea from fine bone china cups & eating handfuls of crisps from ride sponsor’s Tyrells. 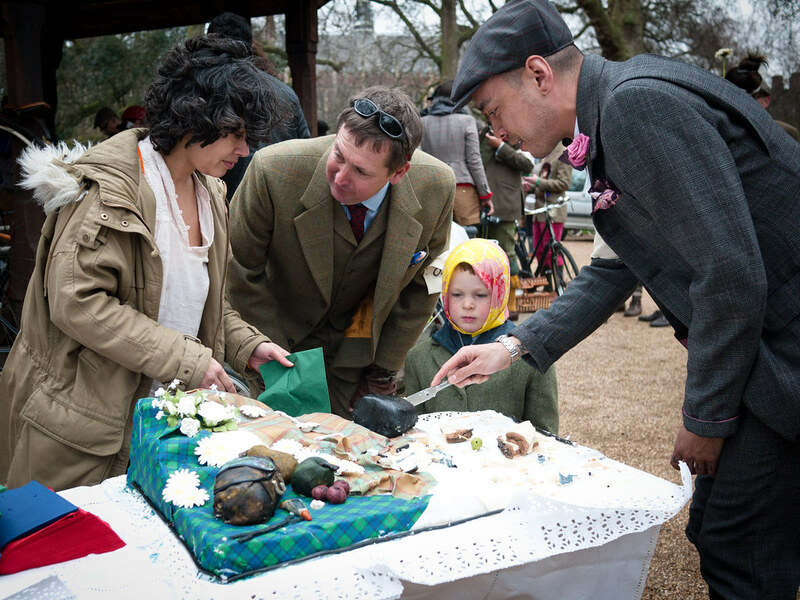 The Tea Stop is also where the wonderful 5th anniversary Tweed Run cake was unveiled! 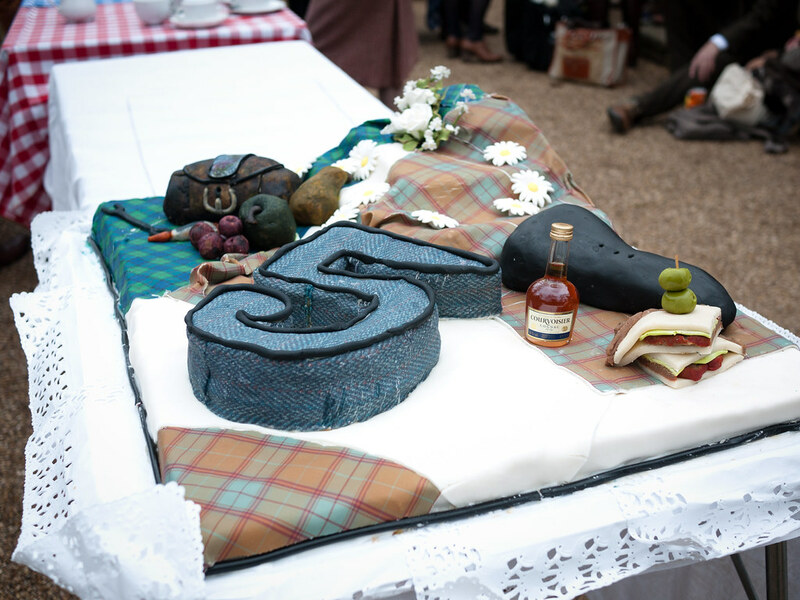 Having sacrificed the cargo carrying capacity of the Princess’s basket I was rather bereft of lunch time supplies, so my thanks go to the Loughton brothers for sharing their Scotch eggs, sausage rolls and a rather decent bottle of ale from the Lake District. 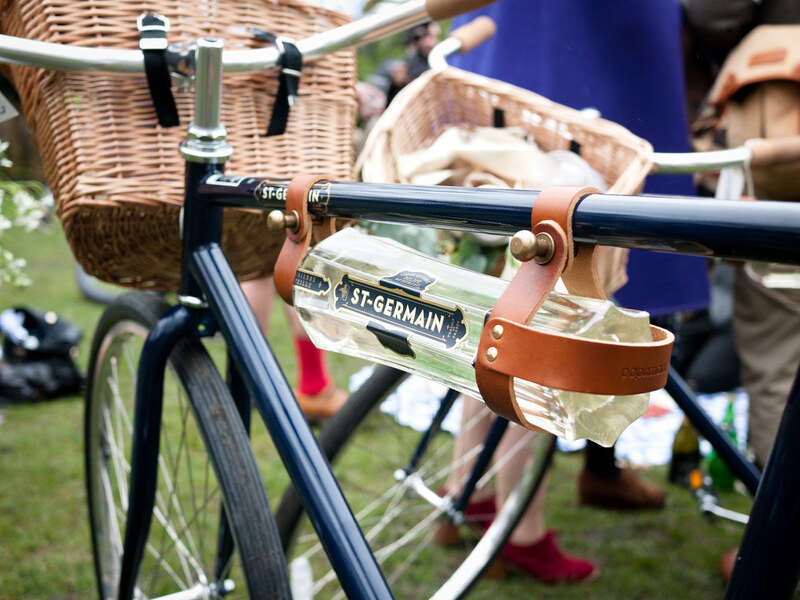 We also enjoyed a cheeky cocktail at the St Germain picnic saw us ready to ride once more. 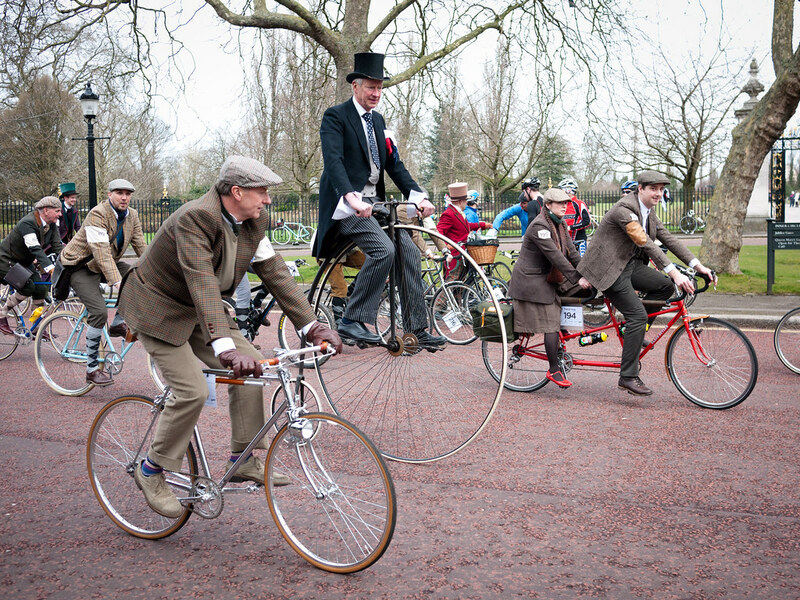 It was only a short hop up towards our ending of the Tweed Run – King’s Cross to the Star of Kings pub. This was a good job as the rather foreboding clouds passing overhead had been threatening to let go all day… the heavens opened just as we got into the shelter of the pub! 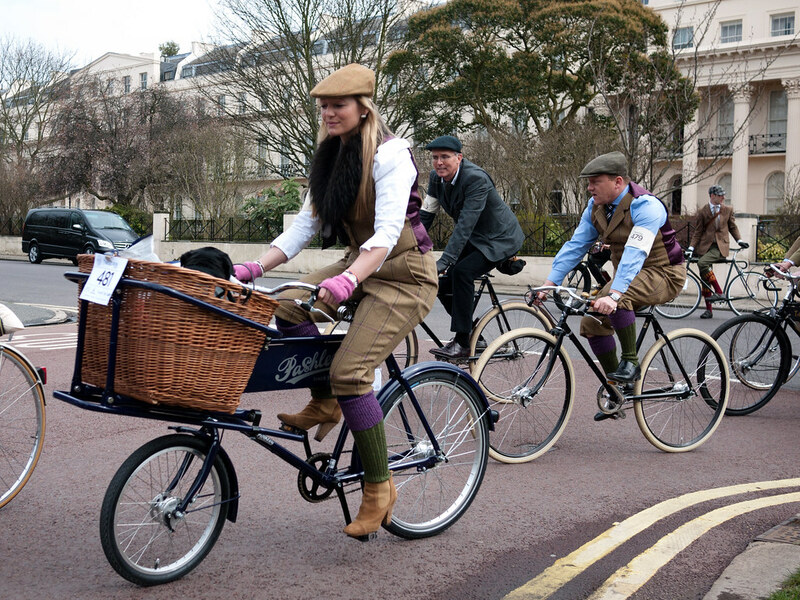 Yet again, Ted and Jacqui along with the excellent Marshals did a marvellous job of organising the Tweed Run. 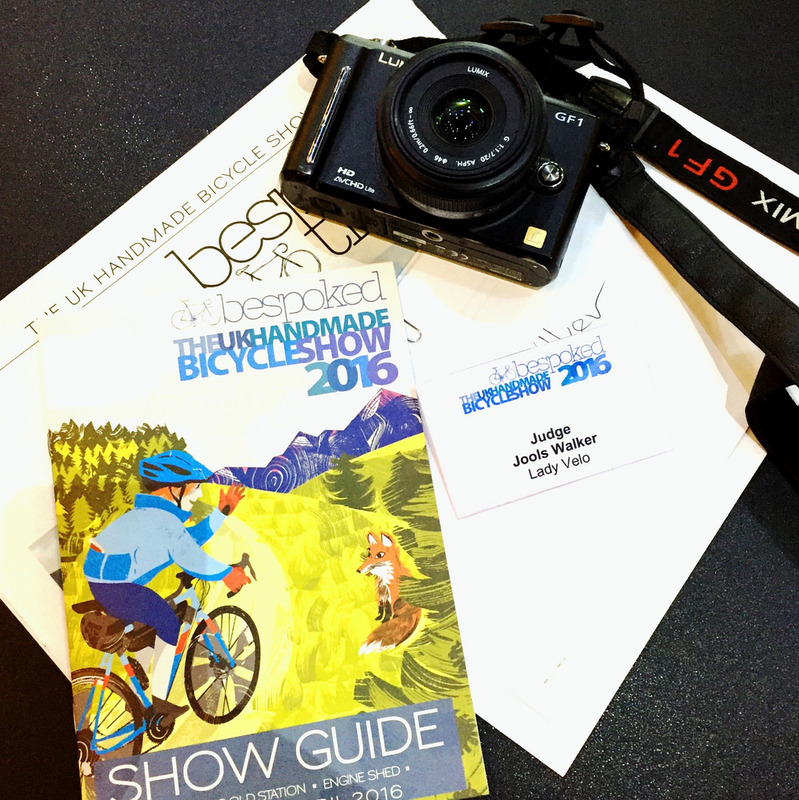 It was a fantastic experience and I’m thrilled to have been there for the days events. I can’t wait to see what’s in store for the next ‘Run… and perhaps Lady V will come along for the ride. 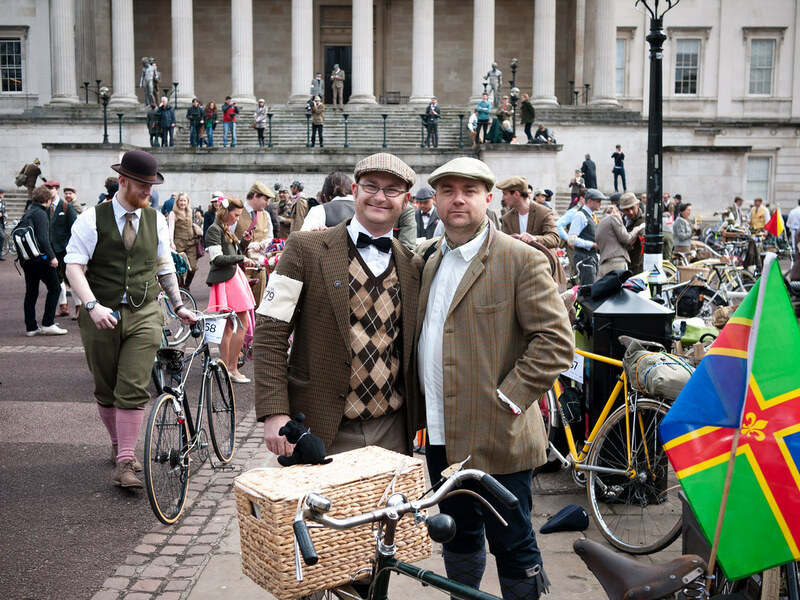 The London Tweed Run 2013 – by Ian James. 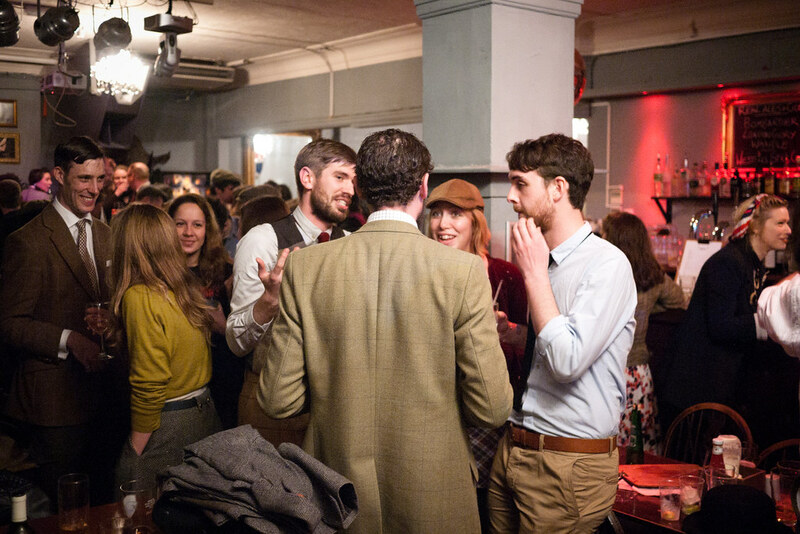 fantastic pics- looks like a fun time and definitely makes me miss london all the more! never mind that i've only spent four days of my life there, it was enough.